First of all, it allows longer videos, which is convenient for bloggers, for example, and also lets you create fantastic vertical videos instead of the horizontal ones, which is sometimes necessary. These features also show that Instagram is keeping up with modern life. Have you noticed that you spend fewer hours watching TV than five years ago? How many hours a day do you spend watching different digital content on your phone? Exactly. IGTV can be useful if you’re a commuter or if you don’t know what to do during lunch break at work while eating. However, can also be used as a great social media marketing tool. Let’s see how and why. What do you need to learn about IGTV? 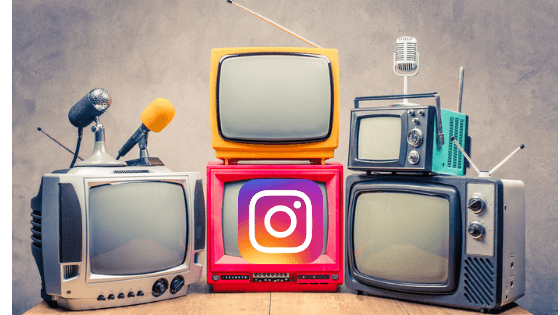 If you want to start using the app for your business, you need to know a few basic things about Instagram TV to present your videos the right way. Before anything else, pay attention to the format of the video. Don’t forget that IGTV videos are vertical and also full screen, so you need to prepare them in a different way than the ones you want to upload to your account. Unlike the stories (that last up to 15 seconds) and the videos on our main feed (that last up to 60 seconds), these can be 1 hour long, but only if your account is verified and if you do it from your computer. The size of the video can be 3.6 GB max, and the file format is MP4. You can also choose a cover photo for your video, and it has to be in JPG format. Your audience has two options for watching your IGTV videos: using their Instagram app or the separate IGTV app. When they touch the IGTV video featured on their Instagram homepage or after they open their IGTV app, the videos will play automatically. If your followers use the IGTV app, they will have options such as „for you,“ „following,“ „popular“ or „continue watching“ and they will be able to like or comment on the videos they’re watching or share them with their friends using direct messages. Also, make sure your content isn’t offensive for anyone because Instagram users can report it! Why should you use this new Instagram feature in your social media marketing strategy? 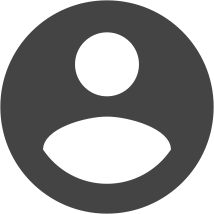 Because this is a great way to boost visibility for your brand, your products or services. Instagram is a quickly developing platform, for sure, and they’re introducing more and more excellent features almost daily, which will soon make them one of the complete social networks, with photos, videos, TV, business profiles, advertising and so on. It depends on the type of your product or service, but we believe that every business can make the most of Instagram TV, you need to find out what works for you and your followers. IGTV may be the perfect opportunity to create your series of how-to or DIY videos, because uploading all of it to YouTube sometimes requires more time and Instagram be a bit simpler and more user-friendly, in our opinion. It is one of the reasons IGTV is excellent for businesses: now you don’t have to use additional platforms to make your marketing strategy work, you can have everything in one place. How should you use IGTV? You can take your time and present each one of your products or services, one by one. IGTV videos give you enough time to show your followers what they look like, how they work, answers some questions about them and ask for their feedback, which will increase interaction between you and your customers! You already know people love to see celebrities without makeup, right? They also want to look at a regular day at your company, but in a more natural, relaxed way, without staging it for the video. So, letting them take a sneak peek behind the curtains of all the glamour of your social media profiles will make their hearts grow fonder and raise their interest in your brand because you will seem more relatable and similar to them. Extra tip: when possible, use cliffhangers and „to be continued“! It may be cruel in a way, but it will make people impatiently wait for more content from your IGTV channel! You can also use this to create contests and make them guess the result – this will make your profile unique and more interesting for everyone. You’re ready to utilize IGTV! All in all, this new feature has way more pros than cons. Instagram is continuously encouraging people to use their phones to take photos and record videos. It takes the load off when it comes to having professional equipment. IGTV will be the perfect home for your tutorials, interviews, reviews of different products, presentations, speeches and many more. Your only assignment is to be creative and think of the type of videos that goes best with the kind of service you offer, and you’re ready to join the IGTV family! When you succeed in that, stick to your strategy and enjoy watching your "instabusiness" grow more and more every day.